Downtown Wilmington visitors don’t have to meander too far to join North Carolina’s growing homegrown beer craze, thanks to the centrally located Flytrap Brewing. Found just a few blocks away from the waterfront along Walnut Street, and featuring a cool and casual exterior that belies the high-quality brews that are found inside, this local brewery is a good spot for Wilmington visitors to discover just how tasty handcrafted beers can be. 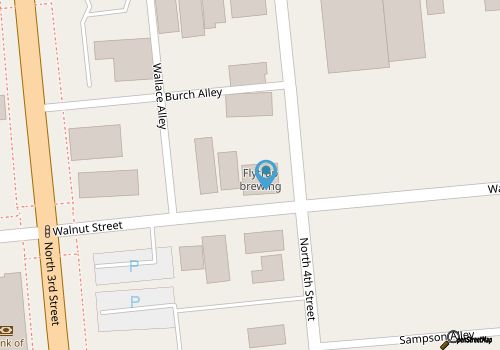 Flytrap Brewing is found in the Brooklyn Arts District of Downtown Wilmington, and is the perfect place to pop in for a cold one after a long day of exploring the area’s many art galleries, museums, and antique shops or boutiques. The brewery specializes in American and Belgian style brews, and the small batch beers are perfectly fresh for the enjoyment of beer-loving patrons. Because of the small batch style of brewing, the varieties can change regularly, which means that locals and frequent visitors can enjoy a new and unique taste with every visit. There’s also a collection of in-house appetizers and snacks, courtesy of the Veggie Wagon, as well as a range of special events including $5 flight nights and live music on the weekends. The end result is an atmosphere that’s perfectly conducive to good friends, good times, and plenty of good brews. Call 910-769-2881 for current hours.